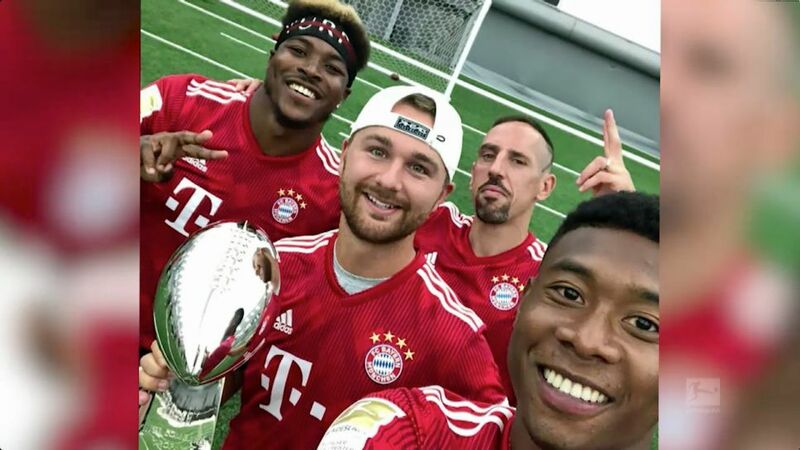 It’s Franck Ribery and Corey Clement vs. David Alaba and Jake Elliot in the NFL’s Game Recognize Game! Defending Super Bowl champions the Philadelphia Eagles kick off the new NFL season against the Atlanta Falcons on Thursday. What better way for Philly to prepare for the new season than a crossover sports challenge against the Bundesliga’s best? Bayern Munich pair Ribery and Alaba met Eagles duo Clement and Elliot for some must-see pre-season action.